Anyone who thinks the bring-your-own-device (BYOD) phenomenon will quietly go away is not being realistic. As many senior technology executives are learning, this trend is continuing to grow—whether IT likes it or not. The rising popularity of smartphones and tablets among the general population in recent years has translated to a “consumer IT” environment in which employees use their own devices for work purposes. Research firm Gartner Inc. last year predicted that by 2017, half of employers will require their employees to supply their own device for work. As enterprise BYOD programs continue to become more commonplace, 38% of companies expect to stop providing devices to workers by 2016, according to a global survey of CIOs conducted by the firm. BYOD strategies “are the most radical change to the economics and the culture of client computing in business in decades", notes David Willis, vice president and distinguished analyst at Gartner. "The benefits of BYOD include creating new mobile workforce opportunities, increasing employee satisfaction, and reducing or avoiding costs." BYOD is part of the whole “shadow IT” concept that also includes public cloud services. Users can enable themselves to be more effective workers by using technologies that they are comfortable with and that they can leverage to more quickly solve business problems. But BYOD, as well as its cousin bring-your-own-applications, can also create a security nightmare for companies if it is not managed properly. Just think of the prospect of an employee suddenly leaving the company with lots of sensitive, customer-related data loaded on his iPhone. 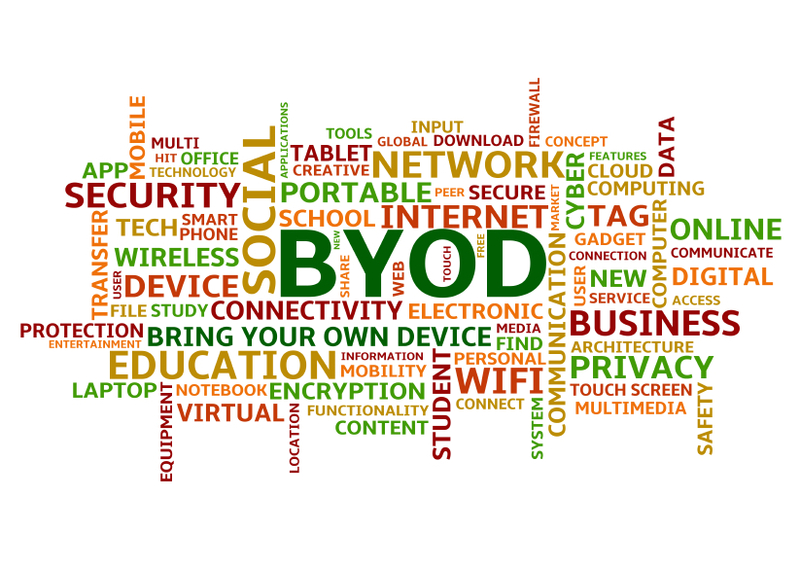 For many companies, the answer to the security and compliance concerns of BYOD is mobile device management (MDM). These software product offerings secure, monitor and manage mobile devices deployed across an enterprise. By controlling and protecting the data and configuration settings for mobile devices, MDM can provide organizations with improved security and management of both BYOD and company-owned devices. The software has grown in popularity, and a host of product suppliers has jumped into the market. Clearly, MDM can serve a valuable purpose for companies grappling with BYOD and the growth of mobility in general. It’s especially useful for organizations that have a highly mobile workforce that tends to work with extremely sensitive data, or that are in a highly regulated industry such as healthcare or financial services. But MDM is not ideal for every organization. In fact, for many businesses of all sizes and in virtually all sectors, it can actually be overkill. Many of the MDM tools on the market have features that organizations simply don’t need or use, and as a result companies are effectively overpaying for these capabilities. For example, features such as fleet management might never come into play for a typical business. In some ways, the situation with MDM is similar to what we saw in the data loss prevention (DLP) market several years ago. As with MDM, the DLP market had a lot of smaller, development-centric startups that poured a lot of features into their products. These products were hyped, and organizations jumped into using them before finding out they were very difficult to manage from a policy perspective. They also found that they didn’t need all the bells and whistles that came with the products. Full-blown DLP ended up as a niche solution, and MDM might go the same way. Many of the smaller providers will likely be acquired by bigger players and many of the product features will end up getting absorbed into other solutions. When you consider that a lot of organizations buy multiple MDM tools today, you can see that the technology might easily become an added expense that negates much of the savings that can result from having employees buy their own devices for work. It’s not just a matter of incurring the upfront licensing costs; the total cost of ownership can ultimately be much higher when you consider the management expenses. The downside of MDM can be avoided by turning to simpler, more cost-effective solutions for BYOD management and security. These offerings provide some of the most critical, often-used features of MDM, such as the ability to remotely wipe data from devices; geolocation capabilities that can be used in the event a device is lost or stolen; and basic policy components such as encryption and password protection. As a VAR or managed service provider, you understand as well as anyone that organizations want solutions with features that address their immediate problems, and that they want those solutions to be as low cost and easy to manage as possible.